Do you ever get that craving for your favorite Chinese dish, but its too late to go out and eat or just not convenient? Well now you can satisfy that craving and make it yourself in the comfort of your own kitchen! 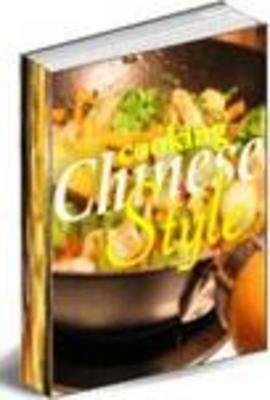 This collection of 100 Chinese recipes has a neatly organized Table of Contents, that makes it easy to find just the recipe youre looking for! Recipes your family and friends are sure to love! *Note: This comes in PDF format so it can be read on any computer with Adobe Acrobat Reader (free from Adobe).